Board Certified in Business Litigation: Only those Florida attorneys who are substantially involved in a certain number of bench and jury trials, pass a thorough and rigorous exam in business litigation, and are approved by Judges and local lawyers can earn the right to call themselves Specialists or Experts in this area of the law. David Steinfeld was appointed by the President of the Florida Bar to the Committee that oversees and grants such certifications in this area. Dave was initially Certified in 2010 and re-certified in 2015. In 2015, the President of the Florida Bar appointed him Vice-Chair of the Committee and for 2016-17 the President of the Florida Bar elevated him to the position of Chair of the Committee. Peer Review Rated: AV-Preeminent is the highest true peer review rating an attorney can receive from the oldest ratings organization, Martindale-Hubbell. It is based on independent and blind evaluations from both Judges and lawyers. Mr. Steinfeld has been rated AV-Preeminent in both attorney and Judicial reviews for many years. 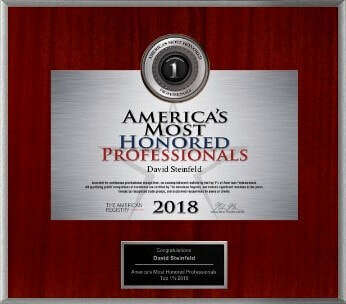 In 2017, 2018, and 2019, David Steinfeld received the high honor and recognition of being included in Us News and World Report's list of the Best Lawyers in America. It is extremely rare for a solo practitioner to receive this recognition and demonstrates that Mr. Steinfeld has been recognized on a national basis as one of the best business litigators in the nation. The Law Office of David Steinfeld has also been ranked by Best Lawyers in commercial litigation for 2017, 2018, and 2019. In 2019, the Law Office of David Steinfeld was named "Legal Elite" by U.S. Business News and David Steinfeld was recognized as U.S. Business News' 2019 Business Lawyer of the Year. ​Mr. Steinfeld has also been honored and recognized with Martindale-Hubbell's coveted Platinum Client Champion Award for 2018 and 2019. This recognition is based on a certain amount of verified outstanding five-star client reviews. Only those attorneys with the highest client reviews are considered for this prestigious recognition. ​David Steinfeld was selected for inclusion in the coveted Florida Super Lawyers list in 2014, 2015, 2016, 2017, 2018, and 2019. Inclusion in this list is a high honor reserved for only a select few attorneys in Florida. Lawyers may only be nominated by secret ballot by their peers, which nominations are then vetted closely and thoroughly by the Super Lawyers staff. In 2019, Mr. Steinfeld was accepted into the prestigious Marquis Who's Who register. Marquis Who's Who is the oldest and most recognized such register and vets biographees through a nomination and thorough interview process. Florida Trend Legal Elite: Of the over 100,000 lawyers licensed in Florida, this well-recognized magazine selects only about 1,200 attorneys each year as the legal elite of Florida. Mr. Steinfeld has been recognized as a Legal Elite in 2012, 2013, 2015, 2016, 2017, 2018, and 2019. ​Each year AV-Preeminent rated attorneys are selected in certain areas of practice for recognition in The American Lawyer, the National Law Journal, and Corporate Counsel Magazines. David Steinfeld was selected as a Top Rated Lawyer™ in Litigation for 2014, 2015, 2016, and 2017. Mr. Steinfeld has been recognized as one of AVVO.com's Top Rated Lawyers for many years. LCA Senior Fellow: The Litigation Counsel of America is the invitation-only, national trial lawyer honor society composed of less than 1% of all lawyers in America. David Steinfeld is a Charter Member of its Trial Law Institute and Diversity Law Institutes and is also a member of the Complex Commercial Litigation Institute of the LCA. 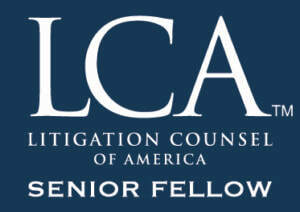 In 2018, Mr. Steinfeld was named a Senior Fellow in the LCA. In 2017, Mr. Steinfeld, Esq. 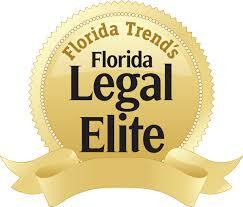 was selected by his peers for inclusion in the List of The Best Lawyers in South Florida. The list is published annually in the Wall Street Journal and is based on peer review and past performance in the practice of law. 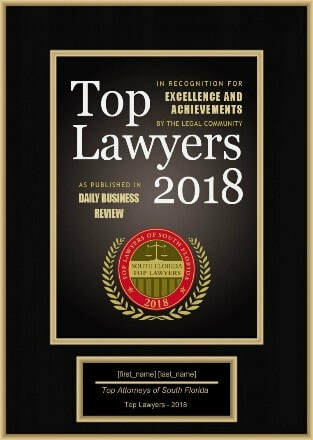 The Law Office of David Steinfeld is very proud to have been selected as one of the top business litigation practices in Florida for 2013, 2014, 2015, 2016 and 2017 by Acquisition International. Acquisition International rigorously evaluates nominees for their reputation in the legal community and their results in cases before selecting a very limited number of winners in each State. Acquisition International also named Mr. Steinfeld one of the Most Influential Business Litigators in Florida in 2018. In 2017, David Steinfeld was recognized with the prestigious Top 100 Florida Verdicts for a $1,000,000 jury verdict he obtained for Bargain Bob’s Carpets in 2016 on a defamation and tortious interference case against West Palm Beach resident Jack Stein. The jury found that Mr. Stein posted defamatory remarks about Bargain Bob’s on a website and in a community circular that damaged the business. This was the second largest verdict for online defamation obtained in the State of Florida and was the largest such verdict obtained in Florida on this issue in 2016. The Law Office of David Steinfeld was recognized as the 2017 Real Estate Litigation Law Firm of the Year by Corporate Insider Magazine. In 2019, Lawyers.com bestowed its highest award for legal abilities and ethical standards on David Steinfeld. Mr. Steinfeld was selected by Corporate Livewire magazine as the Best in Business Litigation & Dispute Resolution for 2017 and 2018. This award program selects winners based on their achievements and strengths over the past calendar year. 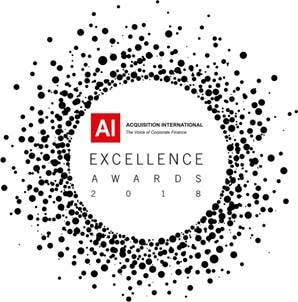 Winners of the Award were subject to rigorous assessment criteria and the recognition is published to over 500,000 businesses and professionals and appears in all of the Aspire airport lounges around the world. Mr. Steinfeld was named a Top Lawyer in Florida by the Daily Business Review for 2018 and Top Attorney in Florida in 2017. David Steinfeld was chosen as one of the Top 1% of America’s Most Honored Professionals for 2016, 2017 and 2018. David Steinfeld is a Master of the Justice Major B. Harding Inn of Court in Stuart, Florida and a lifetime Emeritus member of the Craig S. Barnard Inn of Court in West Palm Beach, Florida. The American Inns of Court has its roots in England and English legal traditions. It is a national organization that promotes ethics and professionalism in the legal profession. Membership is by invitation only. ​In 2019, David Steinfeld was selected to Lawyers of Distinction. Once lawyers are nominated by their peers, Lawyers of Distinction ranks the nominee based on case and trial results, client reviews, experience, and ethics. If an attorney receives a passing score, the attorney is selected for acceptance into Lawyers of Distinction. University of Miami School of Law: David Steinfeld attended and graduated from UM Law in Coral Gables, Florida with a juris doctorate in 1996. University of Wisconsin: David Steinfeld attended and graduated from UW-Madison in 1993 with a Bachelor’s Degree in East Asian Studies. He was also commissioned as a Second Lieutenant in the US Army having graduated from the ROTC Program there. He went on to become a Captain in the US Army serving first as an Intelligence Officer and then in the Army's Judge Advocate General's Corp as a practicing attorney.